What better way to celebrate International Women’s Day than by supporting charities that are dedicated to helping women! 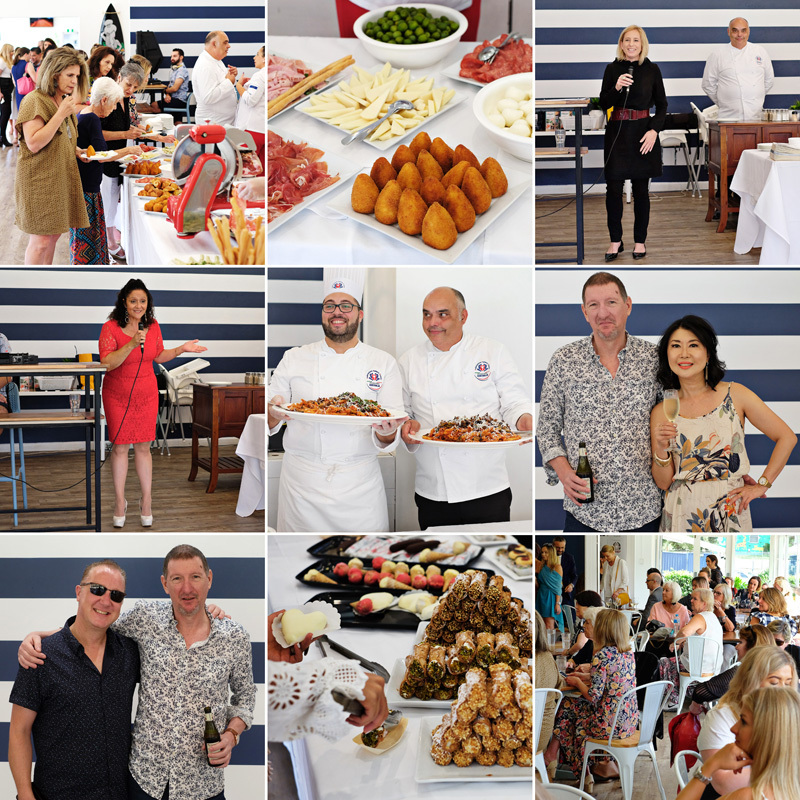 The Italian Chamber of Commerce and Industry, together with the Federation of Italian Chefs (FIC) hosted a charity lunch at Coogee Beach Club on March 8th, the International Women’s Day. All fundraising proceeds from this event go to the Domestic Violence Service Management, a registered charity which aims to aid in prevention and provide support for people escaping or experiencing Domestic Family Violence (DFV) and homelessness. The event was also supporting the Breast Cancer Foundation. As friends and supporters of the FIC Australia, Kent and I were proud to be part of this charity event. It was our first visiting the Coogee Beach Club and we adored this sun-filled space with navy blue and white striped decor. We were greeted warmly by friend and FIC Lady Chef Laura Nobile, looking gorgeous in her red outfit. Another lady who was also in striking red was our new friend, celebrity cook Gina Ottaway, who is well known as Masterchef’s ‘Nonna G’. 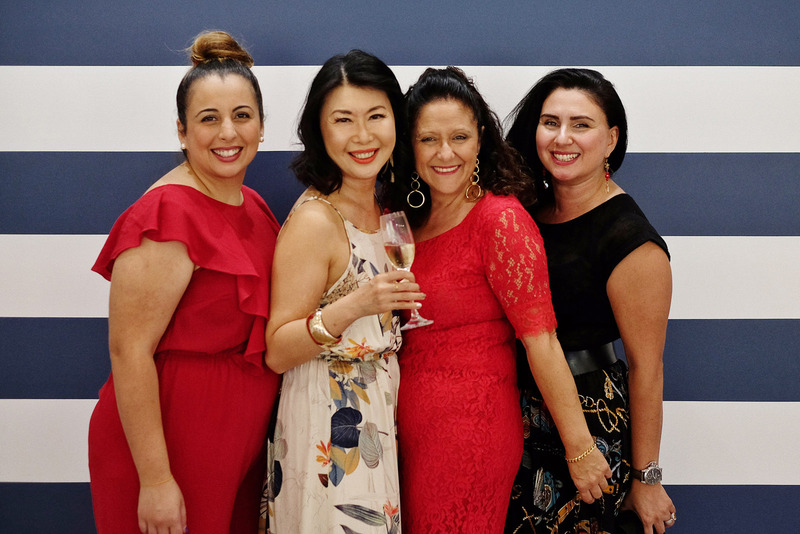 ‘Ladies on the Green’ charity lunch at the Coogee Beach Club. ‘Saluti~’ Our celebration kicked off with a glass of bubbles – Italian Prosecco. Antonio Brunetti, the newly appointed treasurer of FIC Australia was doing duty as barman serving and topping up guests’ wine and drink. The centrepiece long table covered by a white tablecloth full of mouth-watering Italian cheese, Sicilian Arancini; artichoke salad, prosciutto and salami, all prepared by FIC chefs who dedicated their time and energy to this good cause. Come speech time… We appreciated Sal Dennis from the Domestic Violence Management NSW who raised our awareness of the issues surrounding domestic violence and stigmas attached; difficulties of reaching out and made an appeal for donation and support. 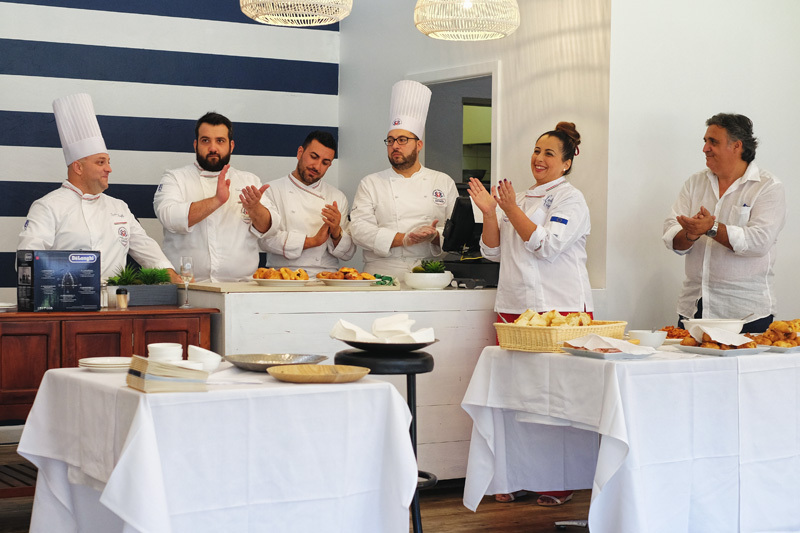 Masterchef’s ‘Nonna G’ was among the event’s guest speakers too. She used her own example to show us it’s ‘never too late to chase your dream’. ‘If a nonna can do it, you can do it too!’ Yes Gina, we were inspired! Olivia Sarah-Le Lacheur, the General Manager of Commlnsure, Laura Nobil from Alpino Gelato and Rachele Grassi from the Italian Chamber of Commerce Australia all gave us brief encouraging talks. And luncheon continued… President of the FIC Australia Tony Sabia and FIC chef Carlo Staropoli served up two large platters of pasta. Then deserts, heart-shape chocolate coated pastries, refreshing gelato in cones and delicious cannoli. After all it’s Italian hospitality and no one left hungry. We were entertained by a Shirley Bassey lookalike drag queen singer Gaynor Tension and the raffle prize draw. There were booklets of stories from the domestic violence victims which were four dollars donation each – that is the estimated cost of putting one of these valuable books in the right hands. ‘Let’s get a few and help spreading the information around!’ You can too make a difference by visiting Domestic Violence Service Management for volunteering and donating enquires. Vivienne is a traveller, author; story teller and sometimes a muse. She seeks a balance between travelling in comfort and style with value; perhaps being the daughter of a hotelier helps there. Through White Caviar Life, you will share in her travel experiences, stories and tips that she hopes to help enhance your own travel. You look absolutely stunning Vivienne!! !